Though most people have heard about impact doors and windows, not many are aware of its benefits. Here are some important benefits of installing these impact resistant doors in your home. Impact doors and windows offer 24-hour protection from burglars and hurricanes. Also, you don’t have to install accordions, hurricane panels, and other protective devices in your house to meet the building codes and other statutory norms. All you have to do is install approved impact doors or windows in all openings. However, make sure you check the requirements of local building codes before installing these Storm proof doors and windows. From insulated impact glass to standard impact glass, almost all varieties of impact glass have high-performance Low-E coating that reduces heat loss, to keep you comfortable inside your house, and reduce your electric bills. In fact, in a recent study, it was found that storm windows and doors with impact glasses could reduce your annual energy consumption by up to 40 percent. This means that the returns on the investment will start the moment you install these hurricane resistant doors & windows. One of the reasons why households prefer using hurricane doors and windows with impact glass are because they are available is several styles to fit varying tastes and home designs. The front door of a residential building can be made with a multitude of decorative glasses, door panels, and handle to create a secure and beautiful entry way. Impact windows and doors are available in the marketplace with different frames and colors and they can be made with or without the decorative grids. Most insurance companies consider impact window and door an effective protection against storms and hurricanes. These insurance companies have also come out with product labeling and approvals to make it easier for you to claim insurance discount. However, make sure you check the exact requirement of the insurance company before installing these windows and doors. 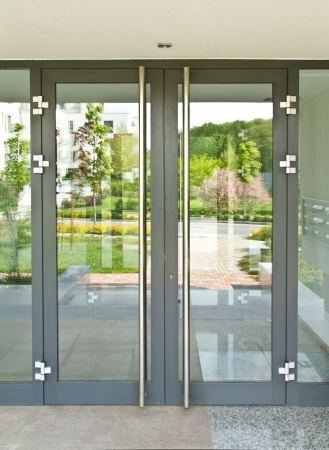 Impacted doors and windows of reputed companies can easily withstand the stringent building codes of any State or City. These doors and windows have a tear resistant inner layer that is sandwiched between two panes of glasses to create a strong glass unit. When projectiles or debris hits the door or window, the outer layer of the window may crack, but the tear resistant layer prevents flying objects from entering your home. Another important benefit of these windows and doors is that they significantly cut outside noise. This makes them the ideal choice of homes and businesses that are near playgrounds, airports, highways, or any other area that is prone to traffic and noise. Installing impact doors and windows can prevent up to 99 percent of harmful UV-rays from entering your house. UV-rays have the potential of damaging the pictures, furniture, draperies, flooring, and other valuables in your home. These rays are also known to cause skin cancer in babies. One of the reasons why homeowners opt for replacement doors and windows before they put their house for sale is because it increases the value of their home. Door replacements not only improve the aesthetics of home, but also increase the security. Considering the innumerable benefits of these doors and windows, buyers are willing to pay a premium for homes that have installed impact doors and windows.